By 1775, there were thirteen British colonies. They had a population of more than 2, 700, 000 people. Most lived on small farms. They sold wool, cotton and tobacco to Great Britain. They bought cloth, hats, tea and tools from Great Britain. In 1763, the British ended a war with France. They needed money. The British government placed new on the colonies. The taxes would help pay off their . Colonists refused to pay the taxes. They said that they had not voted for the taxes, so they shouldn’t have to pay them. In 1768 Great Britain sent soldiers (Redcoats) to Boston. The soldiers were to punish the city for not paying the taxes. 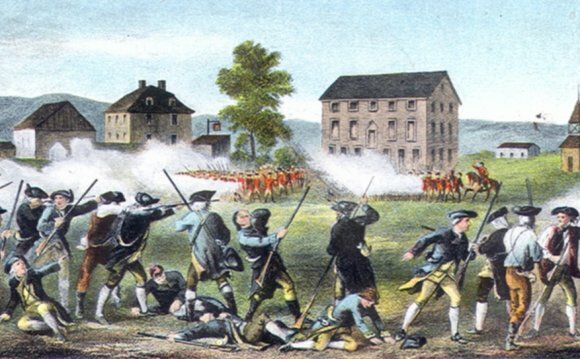 In 1770, Redcoats fired on a mob, killing five colonists. It was called the Boston Massacre. In 1773, colonists threw 342 tea chests into the Boston Harbor. They were protesting the tax on tea. The British government closed Boston Harbor. They made the citizens of Boston follow harsh rules. The colonists called the rules the “Intolerable Acts”. Charles W. Upton is an American economist. "Youth Gone Wild" is the debut single by Skid Row and the lead single from their 1989 eponymous debut album.